I love your suggestions for grape leaves. I collect mine (domestic, alas, not wild) for dolmades and other Greek dishes, but also use them fresh to wrap,around fish on the grill. I’ve also been told that the tannin in them helps preserve the crispness in pickles – when added to the first cold soak stage. I haven’t tried it yet, but hope to do so with pickled watermelon rind. I really wish that I had access to wild grape leaves, I love the taste of them! They are a bit like Nori but way more toothsome and not as salty, unless you brine the living daylights out of them. I see that you also have a recipe for wild grape leaf ketchup! You are so wonderfully creative, please don’t ever stop blogging! Thanks, Sue. Actually, the ketchup is made from the grapes, not the leaves. But hey,there’s an idea! oops! How about grape leaf soda? Jam? Beer? Syrup? Ice cream? Looking forward to seeing what you come up with. Oh, I love them, to cook dolmas! However I buy them in cans, cause I don’t have any I could trust. I don’t think it’s easy to find here in Finland. I love reading about your foraging! It looks so beautiful. There was just a documentary in Sweden about cultivated grapes and all the pesticides used and most of my Swedish friends have now stopped eating them. I have never thought of foraging for them but will keep my eyes open from now on! I also have heard that commercial grapes are among the most toxic to eat. Wild grapes will never completely replace them for sweetness, but there are so many good ways to use them. I hope you find some. I’m on this – have got wild grape vines all round the place. I’m learning so much from your blog! Thanks. I would be interested in any recipes you come up with too. I think they are a very untapped source. Great idea, Hilda! 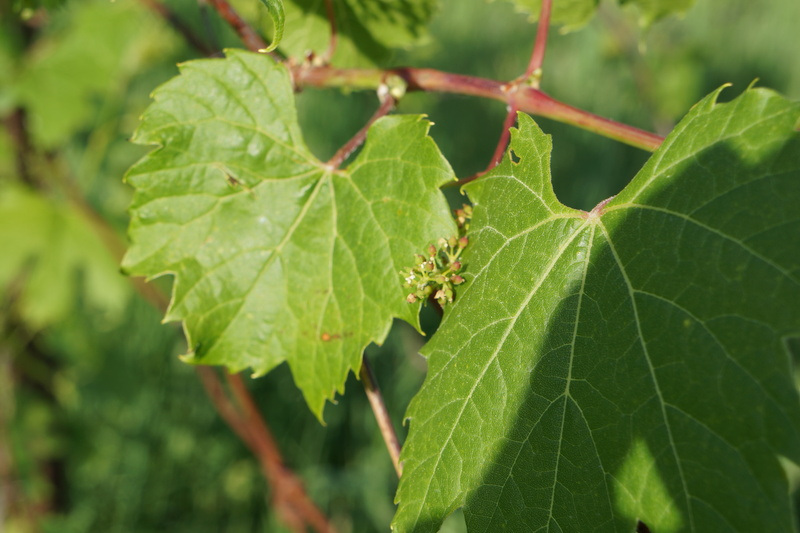 There’s much wild grape to be found in Berlin, too, although I’m not sure how it is treated and if it’s eatable (are there sorts that are not meant for consumption, by the way?). I guess I will be brave and give some a try :-). Thanks for stopping by and commenting. I’m pretty sure grape leaves are grape leaves – no big difference, just a few things that might resemble them you want to be careful of. As for treatment, there should be places which are free from treatment – if the grapes can be eaten, I would think the leaves would too. That sounds encouranging, Hilda, thanks for the advice. 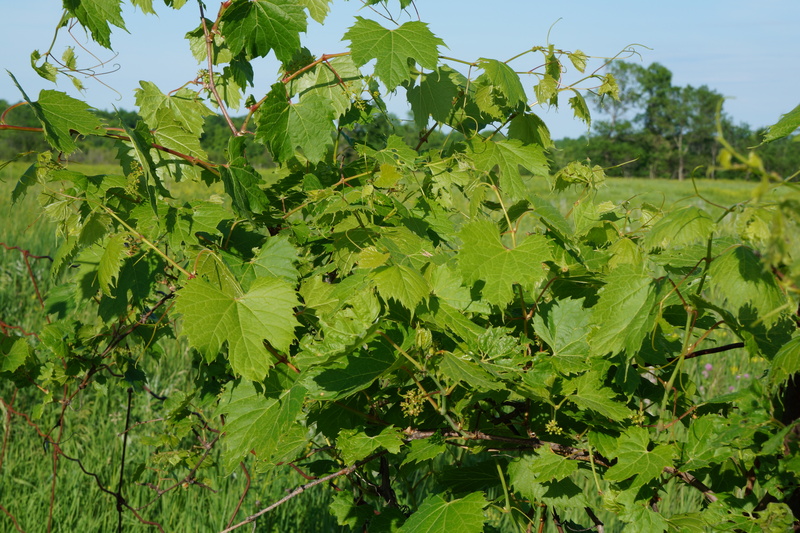 I will keep eyes open, and maybe the farming community where a friend of mine has a little garden will have some wild grape leaves in the area as well. I’m very curious now to give it a try :-).